There are different treatment options for common auto collision injury. Barring any life- threatening injuries where emergency medical intervention is needed, the treatment options are somewhat limited and even more limited are the treatment options for long-term recovery. 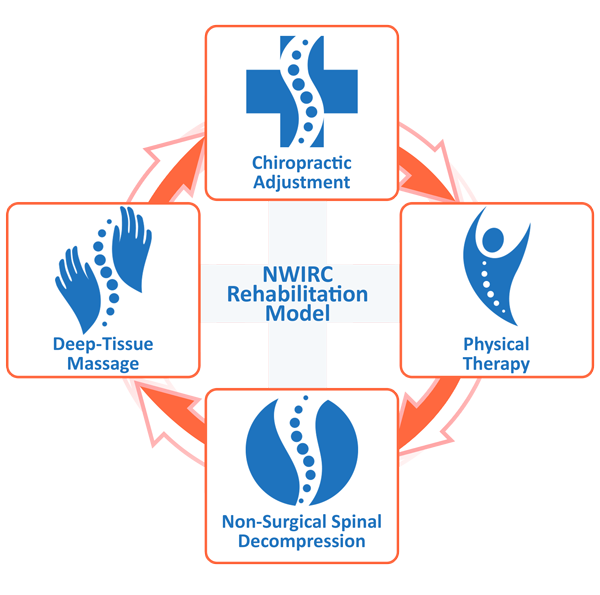 To simplify this, let’s break down the treatment options into two categories: the traditional medical model, and the chiropractic model. Most people are familiar with the traditional medical model as it usually starts off in an urgent care clinic or emergency room. Since these places are usually bogged down with treating all kinds of illnesses and diseases, there usually is not much time spent doing an adequate thorough examination to arrive at an accurate and complete working diagnostic list. Primarily their main role is to just make sure there is no life threatening injuries and stabilize the patient. They’re well known for long wait times and they usually order a bunch of unnecessary tests, racking up a very large medical bill. Then they send you out the door with a prescription for medications, a handout of general routine instructions, and tell you the pain will go away in a couple weeks. 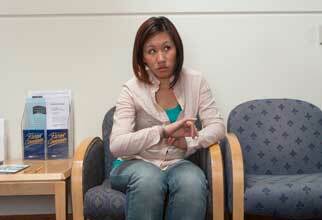 You’ll need to follow up with your primary care physician if you pain doesn’t go away. So at this time you’re still in pain and maybe even feeling worse. Now you get an appointment to see your primary doctor. There’s usually more waiting just to get some kind of resolution for your pain. When you finally get to see the doctor, you get about a five-minute consultation, an exam, and sent on your way with a prescription for more medication. You may even get some ice and heat, a general list of home therapy instructions, and orders to return if not better in few weeks. Anywhere from weeks to months since your car collision, you finally get a referral to a physical therapist. A physical therapist’s typical appointment will look something like this; a little heat and ice, a little electrical muscle stimulation, minimal hands on soft tissue work and mobilization, and some home stretching exercises. After about 12 visits over the course of a month or two, you are typically discharged whether you feel better or not. Now your treatment is documented that you are substantially better. And with a little more time your pain will completely resolve. However, now that you’ve had a few tests and some treatment, the claims adjuster will often get the case shut down, especially since it has been documented that there is nothing left to do and you have reached maximum medical improvement. Except this isn’t usually the case. Now you’re left to seek out alternative treatments on their own and pay for it out of your own pocket. This is all while your quality of life has spiraled down hill in wasted time seeking treatment. We hear this same story on a consistent basis. It’s amazing how common this story is to many of our patients that have found us, and often times many of it could have been preventable if they had just come to us first. In contrast to the traditional medical model as explained, the chiropractic model is more pro-active, timely, and utilizes a comprehensive approach to treating auto collision injuries. Chiropractors are not only going to take the time to develop a complete and thorough diagnostic list, but will develop a well organized plan in treating the multitude of different injuries. Barring any serious life threatening injuries, one of the best things you could do following an auto collision, is immediately get checked out by a chiropractor. A good chiropractor will distinguish what injuries can be treated “in-house”, and what injuries may need further evaluation and management by a specialist. Such is the case with mild traumatic brain injuries (MTBI’s). The chiropractor may be the first one to discover the MTBI, however it is always best for these types of injuries to be referred out to a specialist for further evaluation and management. An initial visit to the chiropractor for a new auto collision injury should take anywhere from 1-2 hours. This is substantially different than the typical rushed medical model. Once the chiropractor has uncovered all your injuries and provided some supportive documentation to your complaints, a well thought out and thorough treatment plan is formulated. This will usually be a combination of gentle spinal adjustments, massage therapy, heat/ice therapy, therapeutic rehab exercises, home instructions, and often times outside referrals for areas that may require advanced imaging and further evaluation by a specialist such as an orthopedic knee doctor. Now you have an active frequent treatment plan addressing the injuries from a multi-faceted approach. This usually consists of massage for muscle spasms, chiropractic adjustments for spinal mobility and alignment, therapeutic exercise for strengthening and stabilization, and heat/Ice therapy for pain, inflammation, and relaxation. This careful, in-depth approach helps to give you better, more efficient recovery from an auto collision injury. Preferably, you will want to find a chiropractor that has additional certification and training in treating auto collision injuries. The additional training and experience not only helps with physical injuries, but can also help with the extraneous parts of an auto collision, such as handling claims adjusters and working with reputable doctors.